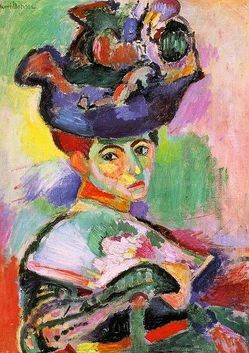 Matisse and some of his fellow artists produced art that expressed emotion, used bright colors, and was very different from the paintings of that time. An art critic called them “fauves” which is French for “wild beasts”, because their art was so wild and unusual. 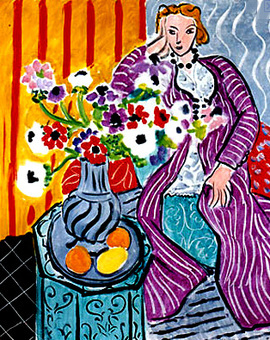 Matisse became known as the King of Color, because of the bold colors he used in his paintings. 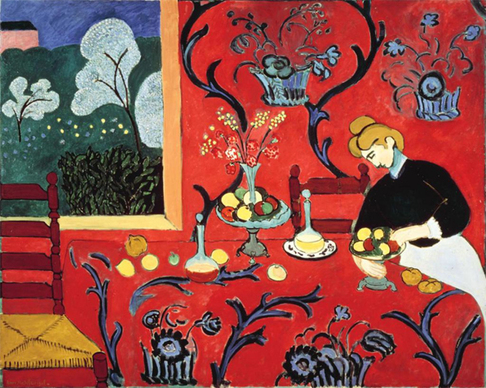 Our painting of the week is Matisse's The Red Room. The full name for the painting is, The Dessert, Harmony in Red. 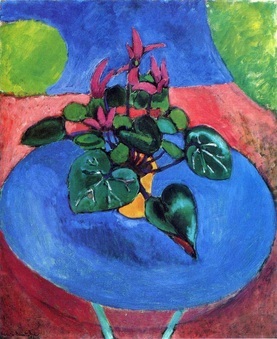 It was painted for a Russian art collector and was originally supposed to be Harmony in Blue, but Matisse didn’t like the result and changed the color to red. 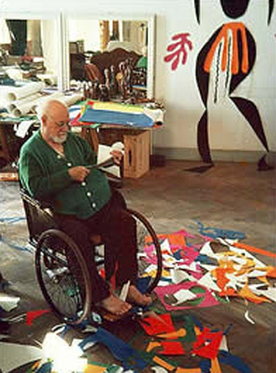 Matisse got sick when he was older and needed to be in a wheelchair. He wanted to keep creating art, but he was too weak to paint. He began "drawing with scissors". 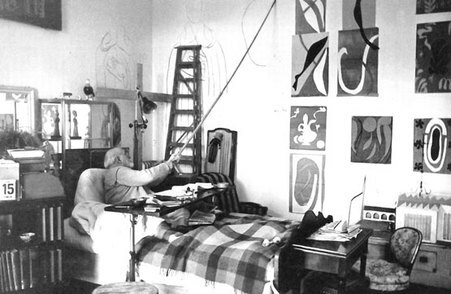 Matisse had to have assistants help him because of his bad health. 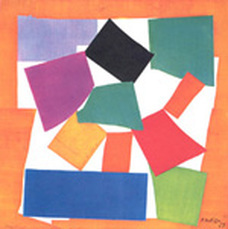 Matisse would cut out shapes from paper painted with bright colors. He saved the shapes he made and also the scraps. 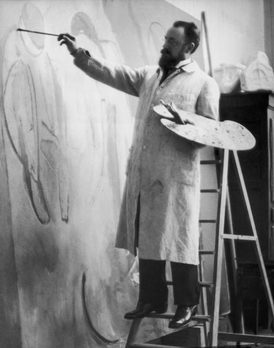 Matisse would then have assistants help pin the shapes or scraps to a wall where he would study them and rearrange them until he was satisfied. He often overlapped his pieces of paper, making layers. This arranging and rearranging stage often took months or even years. 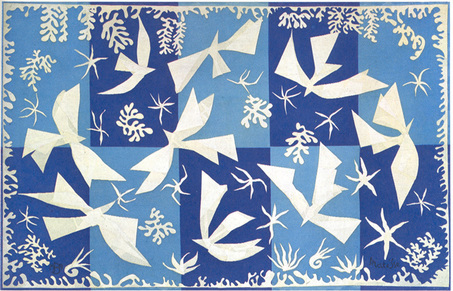 Matisse’s final arrangement, or composition, was glued to paper, canvas, or board. This technique of creating a picture by glueing pieces of paper or other material onto a board or paper is called collage. 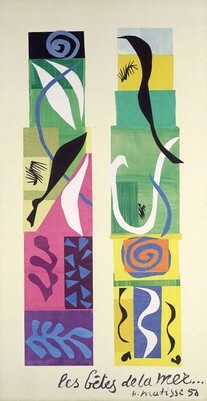 Beasts of the Sea was done by Matisse after a visit to the South Seas. The shapes and colors are representative of the tropical sea. Shape is an element of art, just as line is. 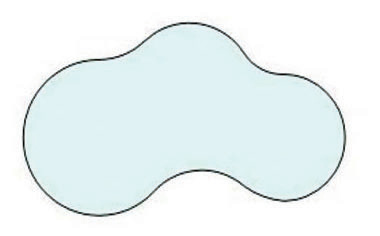 Shape is a two-dimensional area enclosed by edges. 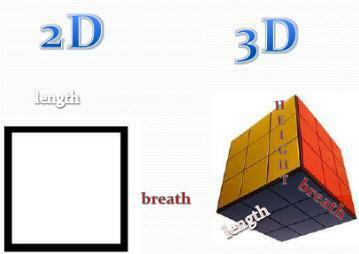 Two-dimensional means a flat surface, such as a piece of paper. The paper might have the shape of an apple drawn on it, but you can’t pick the apple up and the apple can’t make a shadow and you can’t see the back of the apple -- it’s flat. Form is three-dimensional. 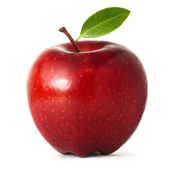 A sculpture of an apple would be three-dimensional and you could see all sides of it and maybe walk around it. It could make a shadow, and it could possibly be picked up. Paintings and drawings are two-dimensional and have shapes, and sculptures are three-dimensional and have form. 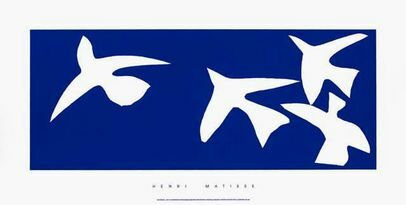 What shapes can you see in these Matisse artworks? 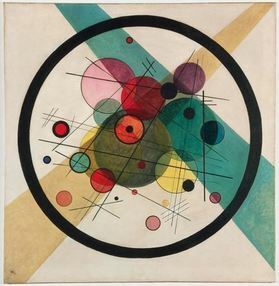 Some shapes in art are geometric shapes. 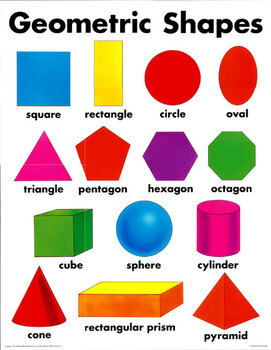 These are shapes that are used in math. They are precise and regular and are usually man-made. Rectangles, circles, triangles, and squares are examples of geometric shapes. 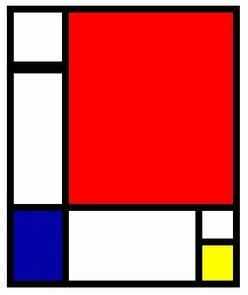 What geometric shapes do you see in the painting by Mondrian and the painting by Kandinsky? 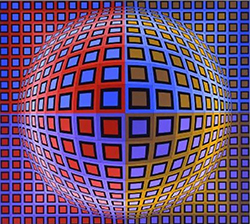 Identify the geometric shapes in this painting by Victor Vasarely. 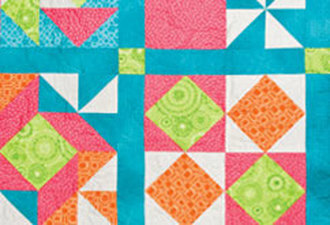 What geometric shapes do you see in this quilt? 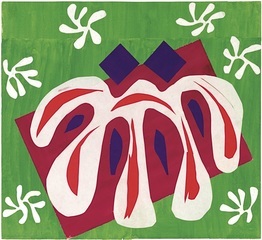 What geometric shapes do you see in this paper cut-out collage by Matisse? 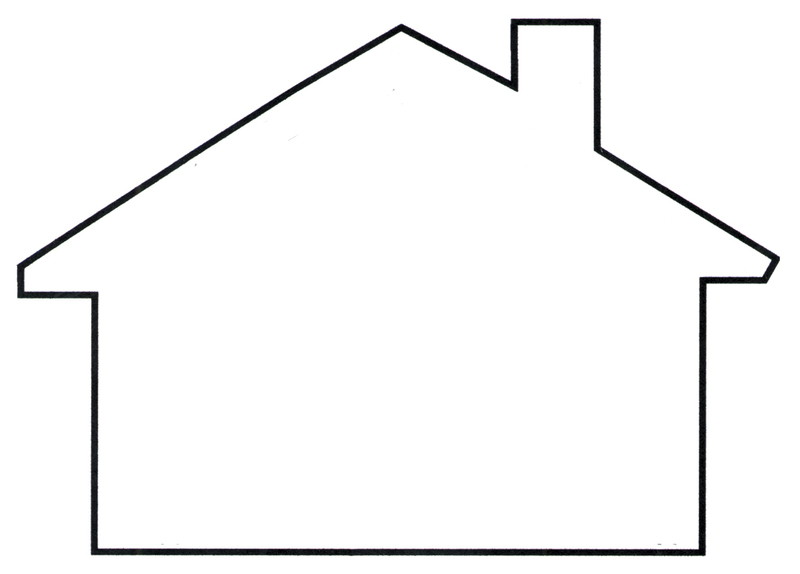 What do the other shapes look like? Many shapes in art are not geometric. They look more like shapes found in nature, such as plants and animals. Instead of regular, precise edges, these shapes might be flowing or curving and seem to follow no rules. These irregular shapes are called freeform or organic shapes. 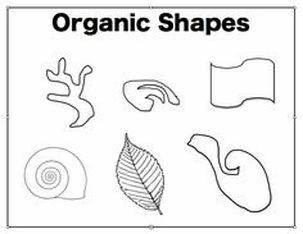 The word “organic” means the shapes are more like living things in nature. Freeform shapes could be clouds, trees, puddles, and many, many shapes that look like nothing at all but their own design. 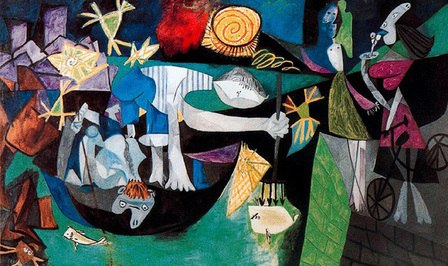 Look for freeform shapes in this painting by Picasso. 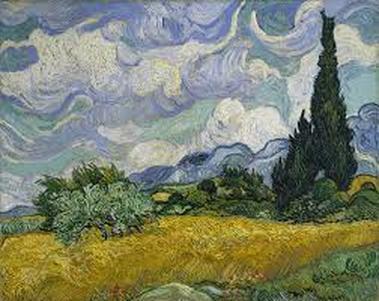 What freeform shapes do you see in this Van Gogh painting? 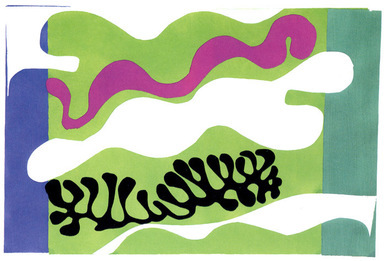 What freeform shapes do you see in this Matisse collage? 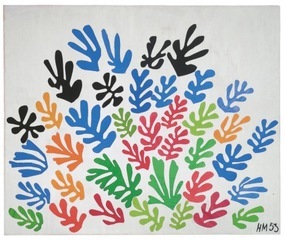 Can you find both freeform and geometric shapes in the Two Masks by Matisse? What freeform and geometric shapes can you find in our painting of the week by Matisse, The Red Room? 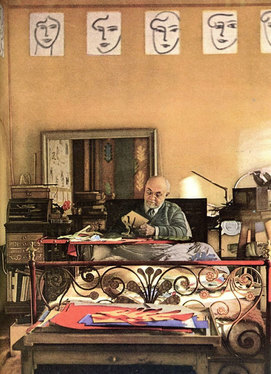 Henri Matisse drawing from his bed. From his early twenties and up, Matisse never stopped creating art -- even when he was in poor health during his old age. 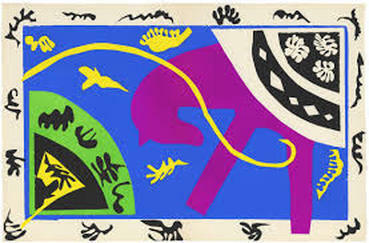 Matisse's new ways of painting with bold color and his paper cut-out art influenced many future artists. Art lesson (lower grades) Organic Shape Monsters (click link or search on Zuni for "organic shape monsters"
Henry, Sandi. Making Amazing Art! : 40 activities using the 7 elements of art design. Nashville, TN: WilliamsonBooks, 2007, p. 35. Introduction to Art: the world’s greatest paintings and sculptures. New York: Black Dog & Leventhal Publishers,2014, p. 77. Nga.gov,. 'Shape'. N. p., 2015. Web. 30 Aug. 2015.